A funeral is sombre, sorrowful occasion. Flowers have always been ideal for telling those grieving that they’re in your thoughts. There are a number of possibilities with flowers for a funeral setting. 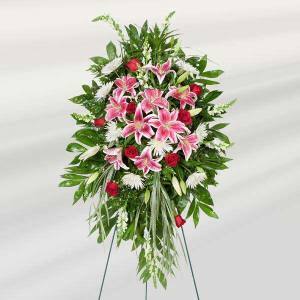 What some find difficult is trying to figure out what type of flowers they should send for a funeral. It’s because there are so many different types of floral arrangements for funerals, people are unsure of what they should choose. Religious, cultural, and personal feelings can make us wonder if one arrangement is less appropriate than another. You want to choose something that’s perfect for that time and place, but you also want to make sure what you’ve chosen is appropriate. The last thing you want to do is offend those in mourning. As with any occasion in which sending flowers are a possibility, it can be difficult, but by no means is it impossible. While shopping for the best flowers for a funeral, there are a few things that can help inform your decision. The tradition of flowers at a funeral is that the flowers are meant to represent growth, the birth of new life, and the desire to embrace moving forward with life. 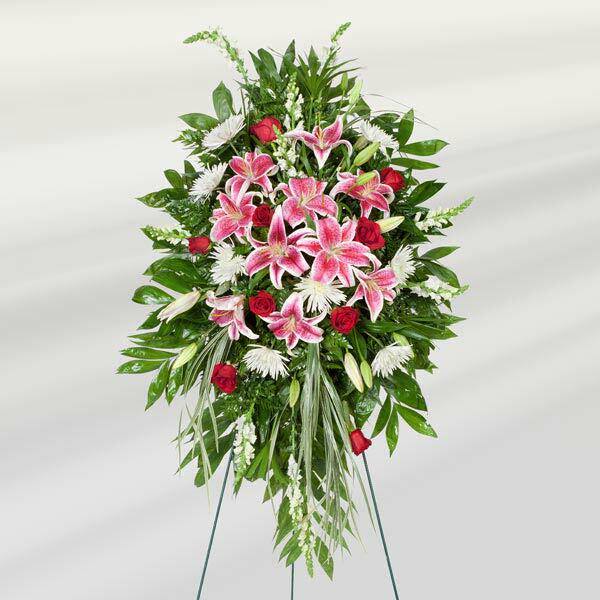 The best flowers designed with a funeral in mind will bring warmth and comfort to those grieving in the moment. 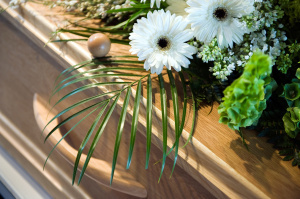 Regardless of where you shop for funeral flowers, you should make sure your order arrives at the funeral home a few hours prior to the first visiting hours. What you want is for the flowers to be there before the family arrives. On occasions in which having flowers delivered before the visiting hours begin is impossible, you’ll want to make arrangements for the flowers to be delivered to the home. When Is It Not Appropriate To Send Flowers For A Funeral? Besides religious and cultural considerations (some portions of the faithful in the Jewish and Islamic religions do not feel flowers are necessary), you should try to make sure the family does not have any special instructions regarding flowers. In some cases, the family will ask that rather than flowers, a donation can be made to a charity that was of significance to the deceased or the family. It is extremely important to respect this wish. The truth of the matter is that barring personal, religious, and cultural preferences, there really isn’t one type of flower that is more appropriate than another. 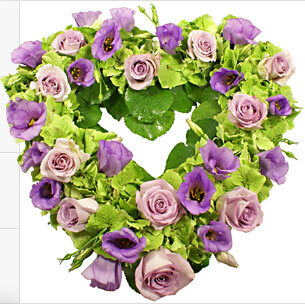 What you can start to choose from are some of the flower types that are popular at funerals. These can include carnations, chrysanthemums, gladiolas, roses, and lilies are all traditional favourites. If the deceased enjoyed spending a lot of time in their garden, and they happened to have a favourite flower or flower, including that in your arrangement would be a wonderful gesture. Wreaths: These circular flower arrangements are designed to represent eternal life. 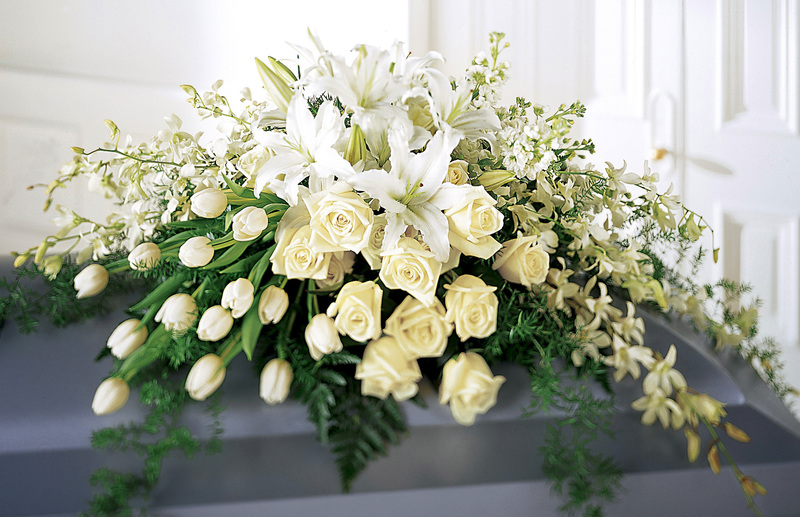 Floral arrangements: Cut flowers and basket and container arrangements are both appropriate for funerals. Sprays: This is a type of arrangement is designed to be viewed from only one side. Casket sprays: Direct family members usually handle the organization of these pieces. They can often be found sitting on top of the casket. Inside pieces: As the name might suggest, an inside piece will be found on the inside of a casket. Small floral sprays tend to make for good inside pieces. Apple blossoms mean that better things are going to come. Forget-me-nots signify true love and remembrance. Red roses mean love. Flowering almonds represent hope. Learn what each flower’s hidden meaning is, and this can help you choose the right arrangement. Having a plant sent to the home of the bereaved is a wonderful gift that will keep on giving. Prices for arrangements vary, but a simple arrangement won’t be too expensive. Statues and garden stepping stones are not unreasonable gifts in an arrangement. Having flowers sent after the funeral is usually acceptable.